If it's one thing I know about, it's mosquito's. I come from Northern Minnesota, the place where people have gone mad from swarms of relentless, bloodthirsty mosquito's. Some nights you can hear the pathetic cries of tourists who are being hauled away to be drained of their blood in the middle of the night. If there is any weakness in your armor, they will find it. When camping in an RV, there are two places to look when despite your best efforts, they are finding a way in. One is the vent over the stove. There has never been a stove vent that had a tight seal around the little metal screen that covers the vent. Get out your duct tape and seal it. I have never found a better way to deal with it, as occasionally you have to remove the screen for washing. Just scrub off the tape residue and re tape as needed. Second is the fan vents in the ceiling. Look closely. 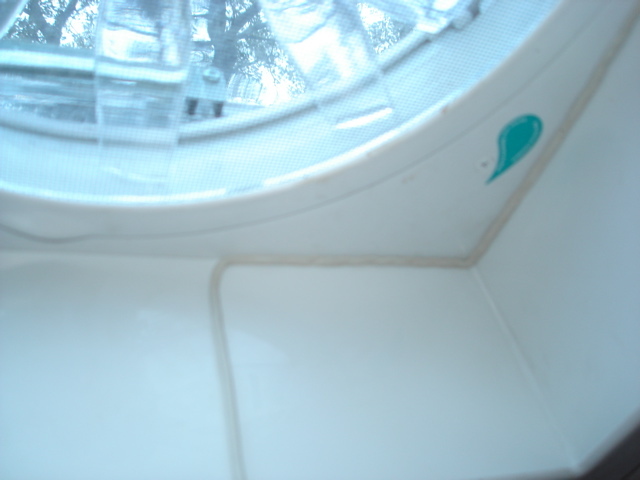 If you can see even a sliver of daylight between the vent and housing, that's where they are getting in. 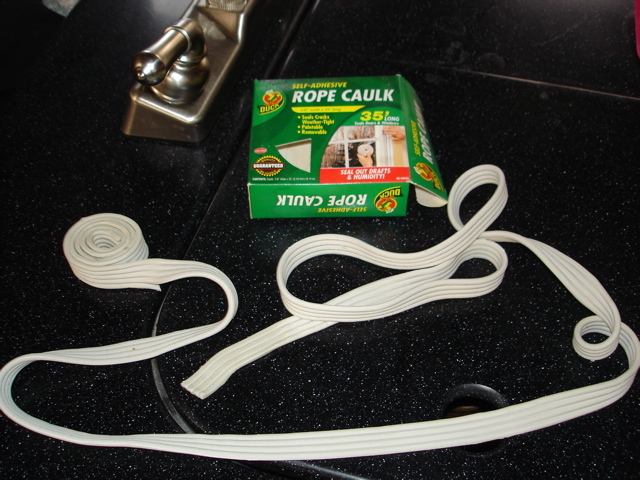 I always keep a roll of Rope caulk around the camper, it's handy stuff. Peel off a strip and carefully fill the gap. No more mosquitoes. Except if you have your screen door open, then you have an altogether different problem. Between the door never fitting tightly against the gasket and the plastic door handle slides, you can't win. I keep the door closed during mosquito hour, (which is half and hour before and after sunset). For outdoors and fully ventilated indoors, I have a really nifty way to keep them off on windless nights, I buy the "Tiki" lamp oil , but instead of putting it in a torch, (EXTREME fire hazard, besides being messy), I use a cheap hurricane kerosene lamp with the inch wide wick, (you know, the kind Grandma used). Trim the wick like your supposed to, (in a downward smile curve), and keep the flame below smoking stage. This really works. I guarantee it. The only problem is that you have to completely empty the lamp to transport it, or find some way to truly secure it as kerosene soaks into everything when it gets loose and it doesn't come out, creating a fire hazard of a different kind. Mosquito repellent doesn't work. never has. Mosquitoes drink it down and then wipe their mouths on your collar. Dress appropriately and more than anything else, stay calm and don't flail about. The more you panic, the more CO2 you give off. Call it the "Zen of Mosquito Charming" or some such Tom Fool name, but if you keep your head, you may just keep some of your blood. If you can't control yourself, stay inside during mosquito cocktail hour. I have had good luck with ThermaCell (outdoors). I'm not sure if you can use it indoors. I have the lantern, but if you want to sit out under your awning--put it on about 10-15 minutes before sitting down. Mosquitoes will stay away. I was going through this the other night. All groggy and looking for the open window... The screen had puckered in the wind and they attacked in droves! We also have had good results with Thermacell. Can't be used indoors, but if you are sitting around the picnic table in the evening it works pretty good. It must do because Kevin really hates them and he sat out a number of times last summer and he actually stayed out. Only one night did I find them bad, but I think without it, they would have been unbearable. As for inside, we are very careful about going in and coming out. We don't waste time, don't want to give them a chance to get in through the door.